Can i replace a Mahogany plank with Iron wood, Maple, Ash, White Oak, or Birch? 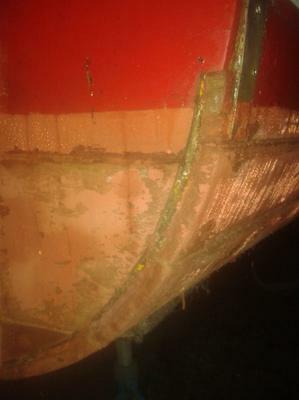 I may need to replace a plank or two above and below the waterline of a 1967 Pacemaker 31 Flybridge Sedan Cruiser. I have an abundance of trees, a portable lumber mill and 20" planer so it pains me to purchase lumber of any kind. Ironically, there isn't a single Mahogany tree growing here in Southwestern Ontario. Boat has 1"x4" mahogany on 1"x2" steam-bent white oak ribs (I have red oak). I also have several species of softwoods in addition to the above hardwoods. Can anyone tell me if there is a suitable match for mahogany...I suspect I know the answer, I just need to hear someone say it. Comments for Can i replace a Mahogany plank with Iron wood, Maple, Ash, White Oak, or Birch? Any thoughts on using Iron Wood for ribs and hull planks? I will check with my local marinas for marine lumber suppliers. Boat is Carvel planked but it has not been easy finding information on Pacemakers but that is part of what makes it interesting. I am no expert, but I would not use red oak at all. It has an open cell structure, unlike white oak which is closed. That's why whiskey barrels are made from white oak. Red oak would leak good whiskey. As far as I know, every wood swells and shrinks at different rates when wet, so I would stay with the mahogany. The problem there is that there is very little old growth mahogany left, and you haven't said what type of mahogany you have. It would also depend on how your boat is planked (Carvel, lapstrake etc). That will take some research on your part, but I would guess that a 1967 Pacemaker would be Philippine mahogany, which is not a true Mahogany, but a type of Meranti or Lauan. There are several sources for Honduran still out there. I've had some success with white oak on small boats up to 20 foot. I hope this helps, but don't go by my word alone. Does anybody else have suggestions for this?